Jean Sedlacek has great neighbors. 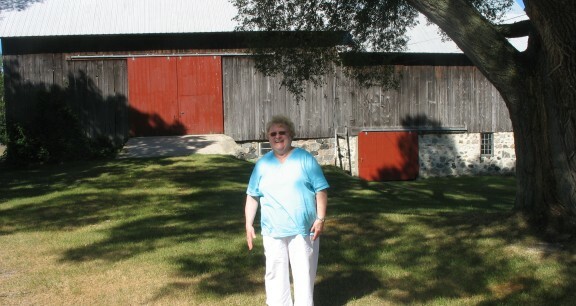 She names a half-dozen people who she says “would come running if I called them, and be here inside of two minutes time.” But as much as she enjoys her neighbors, there’s something she enjoys even more: the privacy and quiet that comes with living on her own 80 acres. “I just love it here,” says the 73-year-old mother of three, who has lived on this land in Leland Township for 44 years. “It’s so peaceful.” Indeed. 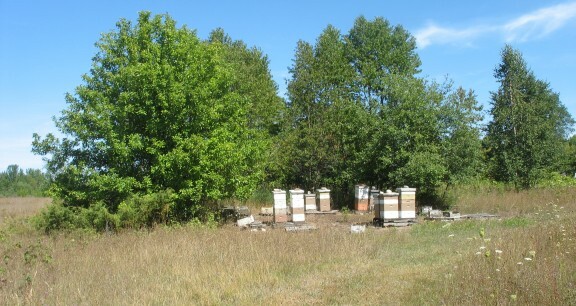 On a late August morning, the only sounds here are the wind rustling in the trees and the bees buzzing in the vegetable garden behind her home. “I love the fact that no one can build on this land,” she says. “The best part is that I won’t ever have to have any houses around me. This place has been in our family for so long. I never wanted to sell it, or to see it changed in any way.” Both she and her late husband, Robert, were born and raised in Leelanau County. She grew up in Empire; her father was a carpenter and the family also had a roadside fruit and vegetable stand on M-72. Robert was raised just up the road on another farm she still owns. 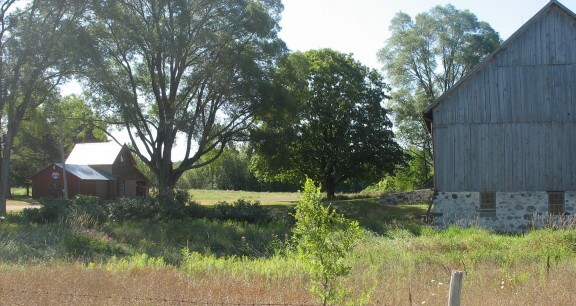 Jean says she was unaware of her land preservation options until she read a story in the Leelanau Enterprise last year about Gary and Christi Bardenhagen preserving their farm near Leland. “I’ve known them for years and when I read about them, I thought, ‘If they can do it, why can’t I?’” She called the Conservancy and soon after met with land protection specialist, Matt Heiman. She says that the conservation easement proceeds will help to ensure that Randy can stay on this land for the rest of his life. Jean shows off a number of his hunting trophies and an article about him and the sport that was published in the Leelanau Enterprise last year. As we talk, Randy wheels around the yard, picking up fallen apples and tossing them into white buckets that he will later take into the woods to feed the deer. Jean’s daughter, Pam, lives in an older mobile home on the land. Jean will remove the mobile home and replace it with a modular house so that Pam can continue to live nearby. “She is a big help to both me and Randy,” says Jean, who is recovering from a painful back surgery she underwent last year. Her other son, Ronald, will soon retire from the Air Force after 26 years of service, and does not live in the area. All of her children grew up playing in the woods, picking wild blackberries and fishing in Houdek Creek, which runs through her 80 acres. The conservation easement protects about 1,600 feet along both banks of the coldwater stream that is home to native brook trout. The Michigan Department of Natural Resources lists Houdek Creek, which flows into Lake Leelanau, as a “Type 1” trout and salmon stream. “The land has enormous conservation value,” says Heiman. 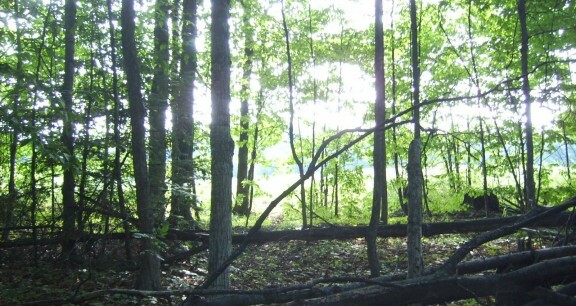 “We’re so grateful to Jean for working with us on common goals to preserve the land she dearly loves.” Heiman says the land has “an unusually broad range of habitats for a property of this size.” Among them: a diverse native hardwood forest with trees of many age classes and a multi-story storied canopy. Downed logs and standing dead trees host a variety of birds and insects. Much of the preserved area is high quality wetlands. Because it is in the Lake Leelanau Watershed, the Conservancy was able to access Clean Michigan Initiative grants funds from the Michigan Department of Environmental Quality to help with the project.